(Pool via AFP/Getty Images) Sen. Lindsey Graham is accompanied by Israeli Prime minister Benjamin Netanyahu and U.S. 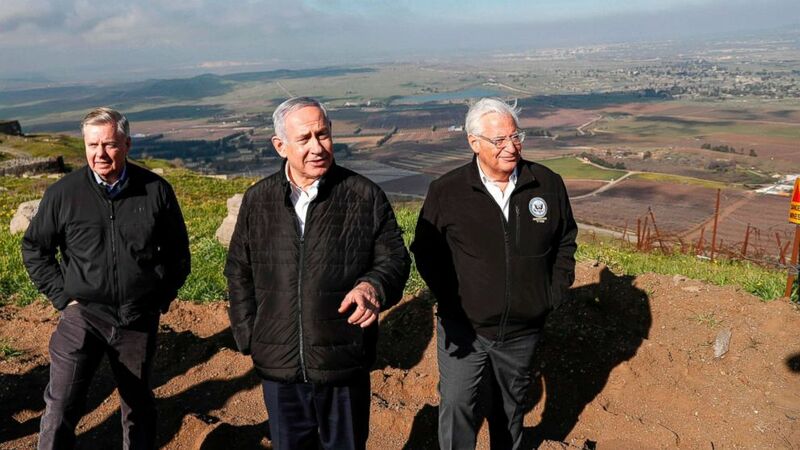 Ambassador to Israel David Friedman as they visit the border line between Syria and the Israeli-annexed Golan Heights on March 11, 2019. 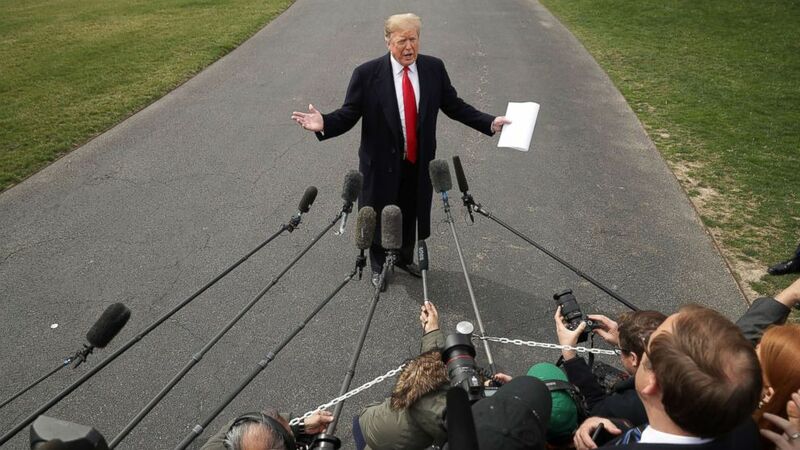 (Chip Somodevilla/Getty Images) President Donald Trump talks with journalists before departing the White House March 20, 2019. 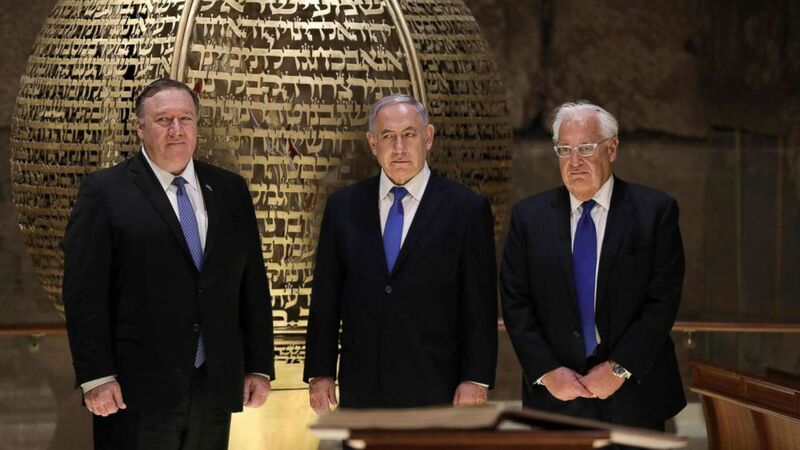 (Abir Sultan/AFP/Getty Images) From left, Secretary of State Mike Pompeo, Israeli Prime Minister Benjamin Netanyahu and U.S. Ambassador to Israel David Friedman, visit the Western Wall Tunnels in Jerusalem’s Old City on March 21, 2019.